Everyone is having smartphones these days and all of us use it for taking pictures, talking, messaging and a hundred other things. Whenever we visit a new place or eat something new or buy new clothes or for any other reason, we take pictures and share them with our friends and loved ones. 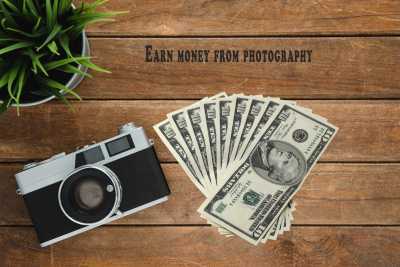 Have you ever wondered, what you can actually earn by selling those photos online on various platforms? Leading the list is Shutterstock. This site is preferred by many photographers. You can register on Shutterstock for free and the site also offers 25% commission rate on every sale. Another top stock imagery site is Fotolia. This is also easy to register and has no limit on the number of photos you can upload. Here, commission rates vary from 20% to 63% as per the popularity of your profile. Dreamstime is another photo stocking platform that is preferred by a lot of photographers, especially the newbies as this site is less strict in image submission rules as compared to others. The only thing one should note is, Dreamstime focuses on extremely high-quality standards of the images. Here, commission rates vary from 25% to 50% for each sale. 123RF is another great site for stock imaging. Once your initial photos are accepted, you can earn commission up to 60% depending upon your profile performance. Alamy gives you a maximum commission of 60% on every download and does not demand exclusive right, i.e, you can share the same images on multiple sites. So if you think you have a collection of nice, creative, high-quality images and want to earn some easy money, you can surely give stock imaging a try. If you like my post, please do share it with your friends and other contacts. And don't forget to leave your comments below. *The site doesn't intend to infringe any copyrights. **All the images used on this site are taken from free sources on the internet and all rights are reserved to the original hosts of the images.